Supreme Court Justice Ruth Bader Ginsburg is known for being tough in the courtroom — she’s become a feminist icon and a champion for liberal causes — she’s also battled cancer three different times. 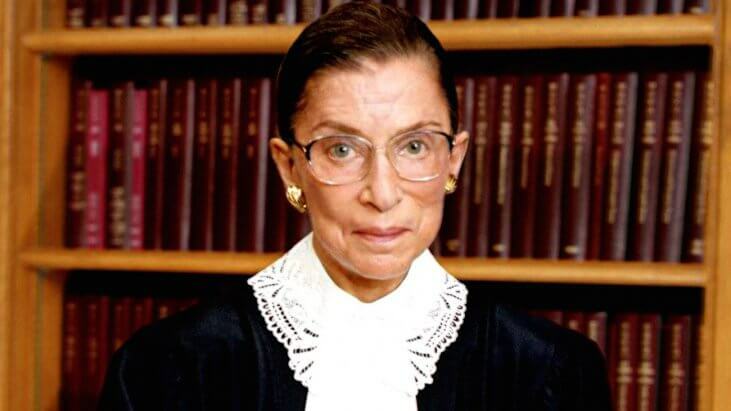 News broke Thursday that 85-year-old Ginsburg had surgery to remove two cancerous nodules from her left lung. The lung cancer was considered early-stage — and was discovered in an X-ray she received after she fell in November and fractured several ribs. Doctors noticed an abnormality in one lobe of her lung, according to NPR, and discovered two non-small cell cancerous lesions in additional biopsies. According to a press release from the Supreme Court, there is no evidence of any additional disease after the surgery. For early stage lung cancer, surgery is considered the gold standard of treatment. This is the third time Ginsburg has battled cancer. In 1999, she underwent treatment for colorectal cancer. In 2009, she faced pancreatic cancer. If there are no complications from her latest bout with cancer, it’s likely that she will be able to make a relatively quick recovery. NPR reported that the Justice plans to be back on the court for the start of the next argument session — on Jan. 7. In 25 years on the Supreme Court — despite the bouts with cancer — Justice Ginsburg has never missed a day of work. In the absence of symptoms that present after lung cancer has spread, a lot of times early-stage lung cancers are found during unrelated chest X-rays — when a doctor identifies something like a shadow that requires more testing. There’s no word yet on if her recent heath issues will prompt Ginsburg to consider retiring — but she has said before that she will serve on the Supreme Court for as long as she is physically able.